About MyBIS. (2015, January). Malaysia Biodiversity Information System (MyBIS). Retrieved April 20, 2019, from https://www.mybis.gov.my/art/15. To be a one-stop repository database system, which provides and facilitates access to information on biodiversity studies and management in Malaysia. To collate information related to Malaysia's biodiversity from a variety of sources. To provide easy access to and make available for public circulation, information, databases and other relevant material, provided by various stakeholders. To create public awareness on biodiversity and environmental issues. To provide updated statistical analysis on biodiversity data. Malaysia Biodiversity Information System (MyBIS) to be a one-stop repository for biodiversity information in Malaysia. MyBIS provides the information exchange platform of the Convention on Biological Diversity. Created in accordance with Article 18(3), it has evolved into a global network of websites with the CBD website (www.cbd.int) as its central node, and MyBIS as national nodes of the network. The hibiscus flower was chosen as the MyBIS logo as it symbolises the cooperation amongst various agencies in Malaysia in biodiversity data sharing. Data providers for this system are various agencies, namely, Forest Research Institute Malaysia (FRIM), Universiti Malaya (UM), Universiti Kebangsaan Malaysia (UKM), Universiti Malaysia Terengganu (UMT), Department of Wildlife and National Parks (PERHILITAN), Institute for Medical Research (IMR), Department of Forestry Peninsular Malaysia (JPSM), Department of Marine Park Malaysia (JTLM), Natural History Museum Malaysia, and NGOs like Birds, Nature and Us (BNU). Biodiversity information deposited in this website are abstracted from published books, journals, expert checklists and specimen databases. To date, four main modules with sub-modules containing many different types of information have been developed and are available online. The four main modules consist of Discover, Explore, Analysis, and References. Meanwhile, the sub-modules are Species, Protected Areas, Experts, Specimen, Photograph, Relations, Structure, Glossary, Newsletters and Literature. Data in these modules can be analysed by users within and outside Malaysia. The website can be accessed through three interfaces, namely, desktop, tablet and mobile displays. With these interfaces, users can easily search for information about Malaysian biodiversity. The copyright for this system belongs to the Ministry of Water, Land and Natural Resources (KATS). The information contained in this website is for general information purposes only and KATS shall not be liable for any loss or damage caused by the usage of any information obtained from this website. Through this website users are also able to link to other websites which are not under the control of MyBIS. Therefore, MyBIS has no control over the nature, content and availability of those sites. The inclusion of any links in MyBIS does not necessarily imply a recommendation or endorsement of the views expressed in those links. Flora of Peninsular Malaysia (FPMO) website launched. FPMO website linked to biodiversity databases and multilateral agreements on Malaysian biodiversity. 2012 : First iBook on Flora in Malaysia launched. FPMO and MyCHM were combined into a single point reference. Data maintenance eased and taxonomic revisions facilitated. 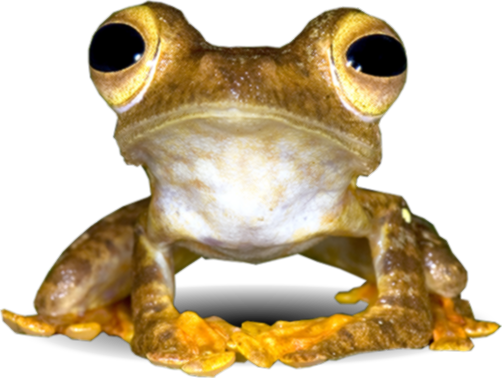 Modules developed: Species, Protected Area, Expert, References, and Taxon Data Information Sheet (TDIS). Enabled statistical analysis of biodiversity data, advanced search, and more user-friendly website. Modules developed: Discover, Specimen, Explore, and Analysis. Citation:- About MyBIS. (2015, January). Malaysia Biodiversity Information System (MyBIS). Retrieved April 20, 2019, from https://www.mybis.gov.my/art/15.